We think of a brand as a logo, color, font or slogan, but these markers do not define a brand. They simply communicate a brand. When asked, many people recognize Coca-Cola and Apple as brands. We see the logo, know the colors and slogans, but what if you applied these same identifiers to an entirely different product? What if Apple’s logo was applied to a leather purse? Why? Because you associate Apple with cutting edge technology, a streamlined design, and innovation. So we can’t simply slap a logo on a product and expect it to carry meaning. 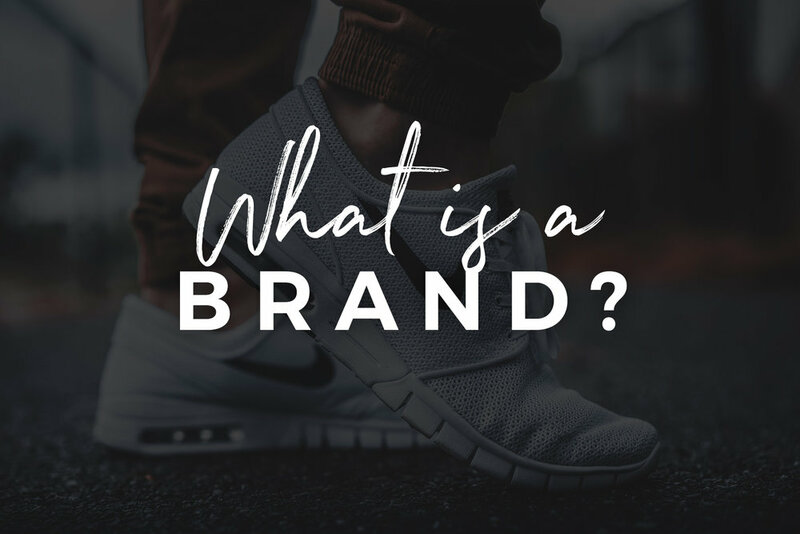 So what is a brand? A brand is a set of perceptions, expectations, beliefs, values, and emotions that create our experience with a business, person, product or service. Do you know what else is super interesting? People constantly define themselves and communicate their own values and beliefs by the brands they support. For example, I only use Apple products because the brand represents intelligence, efficiency, and sophistication to me. These are all values that are important to me. This is why it’s so important for businesses to define what they represent. Not defining a brand is one of the major reasons so many companies never make it. Generic gets passed over. This is why you must have a purpose and communicate your purpose. Potential customers need to know why, how and if you fit into their lives. If they don’t know, they will move on until they find another business that resonates with them. What do you stand for? What’s your brand?